Bury ourselves under the pressure of teaching reading or how to share or fill in your own blank here, to our children and measure ourselves by their success? If you are in the early reading stage, please don't do that! It's exhausting. Trust me. And in the end, it isn't really our success but theirs anyway. So, where are we now? Because, let's be honest, why would you want to read these upcoming posts if we haven't even made any progress?? O is reading well above grade level now, which is great and all, but it took some time. More important to me is that he is finally reading for pleasure. All the time. In the morning, in the car, in his bed at night. The boy has actually been seen at times reading a book instead of being glued to a screen! Full disclosure though: there are also days where it is still like pulling teeth to get him to read. Still, this is big news people! Reading for pleasure is how he will continue to grow as a reader and will become more fluent. Whether he is reading fiction, nonfiction, chapter books or, gasp! comics, he needs to be reading. 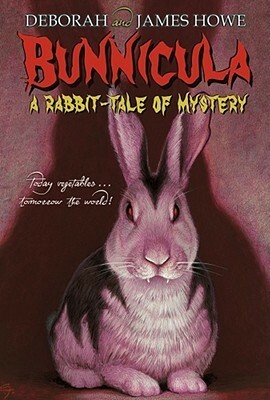 Right now he is reading the Bunnicula series. Don't judge. Over the last year I had seen a steady rise in reading for pleasure, but only this last spring did he start devouring books. Now, don't let me fool you. I do still have to remind him to do his reading, and Skylanders still wins more often than not (if you don't know what that is, count yourself lucky). But several months ago, my guy who was reading chapter books only when forced asked to, flew through an entire series of books in 3 days, reading a couple of the books twice as he waited for his slow poke mama to drive him to the library to get the next in the series. Granted, there were only 4 books in that series. And they have pictures. But they are real stories, real books, and they hooked him! They were the books that he couldn't peel his eyes from in the car. They were the books that made his dad reprimand him for walking down the stairs reading. They were the books that made this reading mama's heart soar. They were the books that catapulted him in to a fantastical world of reading, and he hasn't stopped since. So, what were these magical books that have such amazing powers, you ask? 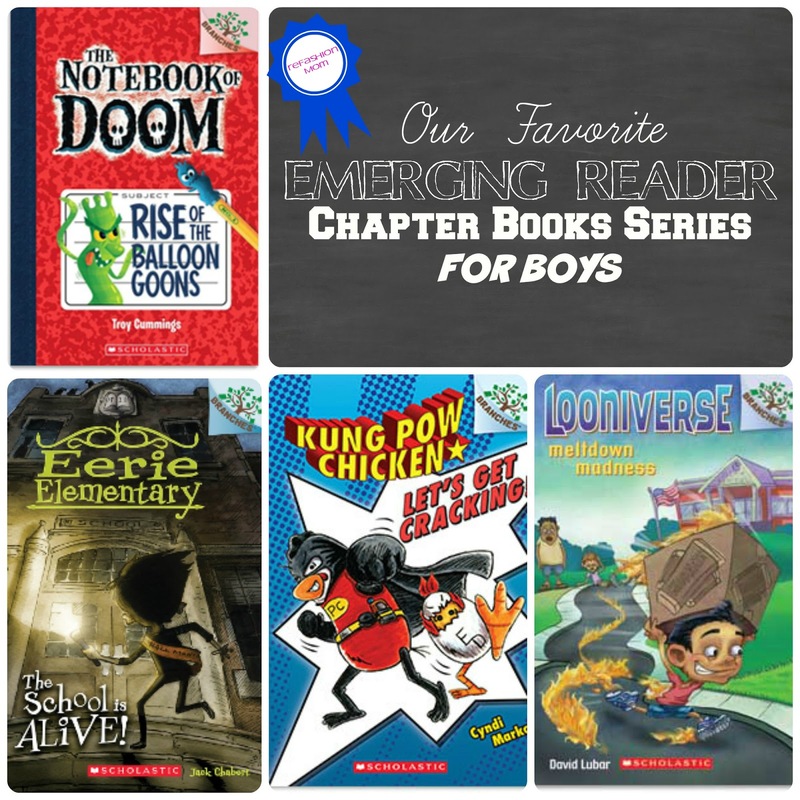 They are part of a newer division at Scholastic dedicated to creating high interest, quick moving, illustrated chapter books to help emerging readers cross that bridge to more traditional chapter books. What does that mean? Well, it means that my guy that COULD read at a higher level but was intimidated by the sheer volume of words on the page now had another option. He had been stuck in the limbo land between early readers, such as Fly Guy, Elephant and Piggie, and Frog and Toad and chapter books such as Magic Tree House and A to Z Mysteries, which he could read but really hated to do. Those early readers were what he was reading for pleasure (specifically EVERY Elephant and Piggie book ever published) and reading instruction and practice reading was done on the higher level chapter books. But with these new books, these Scholastic Branches books, there was a compromise. There are pictures on nearly every 2 page spread that help to break up the text and ease readers into higher level reading while removing the intimidation factor. They were perfect. We started with some lower level books in this series shortly after Christmas. We started with a series called Kung Pow Chicken. It wasn't incredibly long, maybe 10 chapters/100 pages? But it was longer than what he was currently interested in and it sat in the book basket for nearly 3 weeks, being ignored in favor of his favorite Elephant and Piggie books. This is my life, people. Anyway, our library has a 3 week check out period, so on the final night, I read the first chapter to him at bed time and when I got the "just one more chapter?" I told him that he could stay up as long as he wanted to read to himself. The boy stayed up for the next hour/hour and a half reading the whole book. He was so proud of himself and feeling a little sly at being up past 10pm! 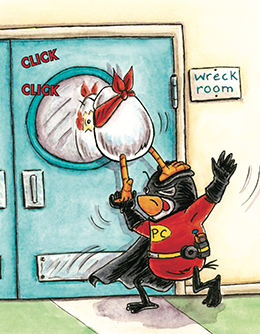 A funny superhero chicken? What's not to like? He begged me to renew the book, proceeded to read it over and over while we waited for the next book to be available at the library. It was lovely. But, I knew he was reading at a higher level and still was on the search for a book that would hook him on his level. So, we did what any person should do when looking for their next great book. We asked our librarian. Shes howed us a few other series from Scholastic Branches. They have been great to have, especially now that O doesn't want to stop reading. He is often making his way through about a book a day. I have to try to keep up! He chose his next Branches book based on nothing but the cover, of course. It turned out to be wonderful, funny, and it didn't talk down to him the way that so many early readers do. In a library full of early chapter books aimed at girls or gross potty humor for boys, we found a winner. It was at a second grade reading level or if you want to know the official reading stats it had a Lexile of 520 and Guided Reading Level O. In short, it met him where he was comfortable. What was it called you say? It was Looniverse #1 Stranger Things. He proceeded to read all of that series, the Kung Pow Chicken , The Eerie Elementary and the Notebook of Doom series. By the time he was done with the Branches books a few months later he was willing to read anything that seemed targeted at an elementary audience. I was so relieved. We had crossed the great divide. I'm telling you, I've never been so relieved about anything in our homeschooling journey. Reading is just that important. These Branches books build confidence in a way that other books just weren't doing. So, if you have a kiddo that is reading beyond Frog and Toad and the like but not confident yet, it's ok. Really. Don't pull your hair out. It's not a good look on anybody. Let them try these books instead. 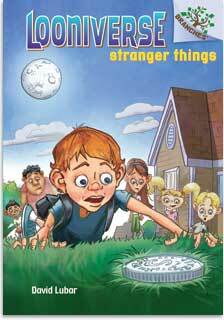 It helps break them free from the early readers and transition to the traditional chapter books. Also, just to clarify before I'm asked, yes, there are Branches books aimed at girls as well! And no, I'm not being compensated in any way to tell you about these books. They just helped SO much I want everyone to know they are out there! What online game helped make learning reading fun? Anything else I should add? Let me know in the comments below. For every comment and share on facebook (you have to comment to let me know you shared though!) during the blog series I'll enter your name into a drawing to be done at the conclusion of the series! You could win a $5 Amazon gift card to use on a great new book for your own young reader!